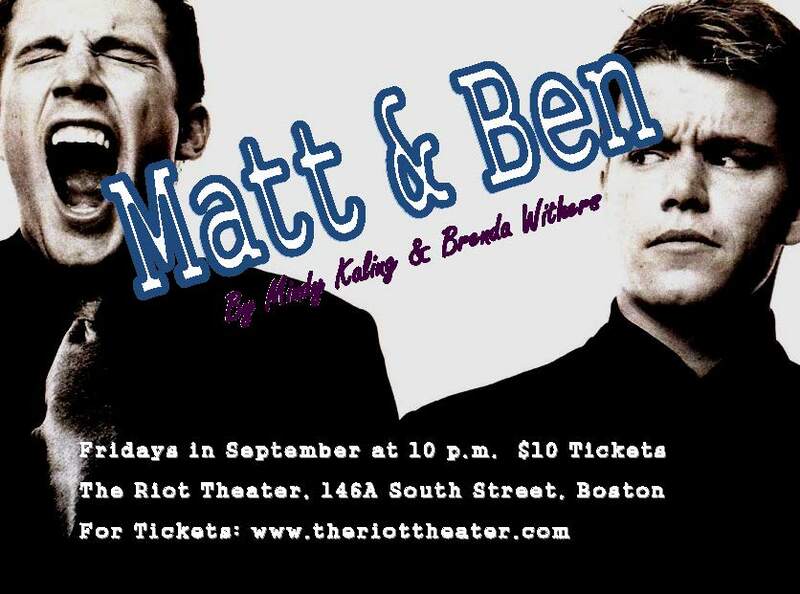 Matt & Ben: A story of two Boston boys and a screenplay that fell from the sky. Matt & Ben, a play by Mindy Kaling and Brenda Withers, answers the question every Bostonian has asked themselves at least once; “How did Matt Damon and Ben Affleck write the screenplay for Good Will Hunting?” Answer: It fell from the sky, of course. Okay, in reality the screenplay might not have appeared right out of thin air, but the play Matt & Ben takes the audience through a fantastic journey of what if it did. 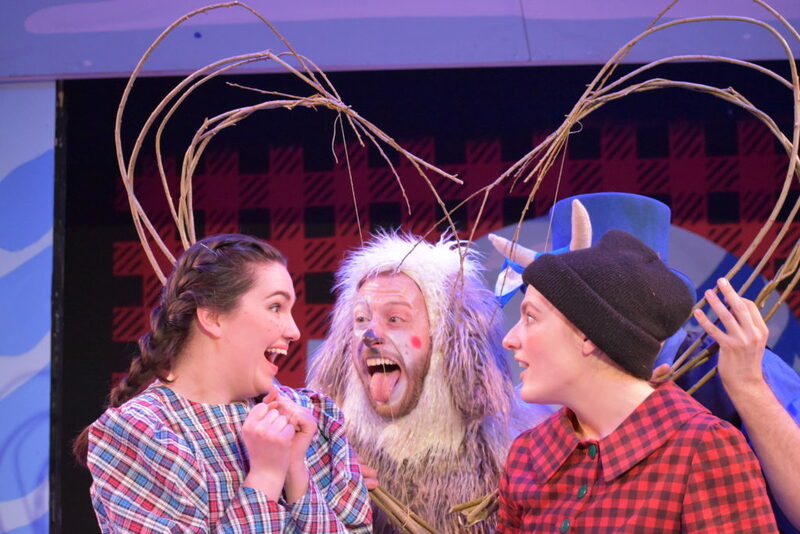 Matt and Ben, respectively played by Lauren Robinson and Libby Schap, spend one long Saturday in Somerville fighting, reminiscing, and hallucinating a lot more than normal when confronted with the screenplay they already know will change their lives. 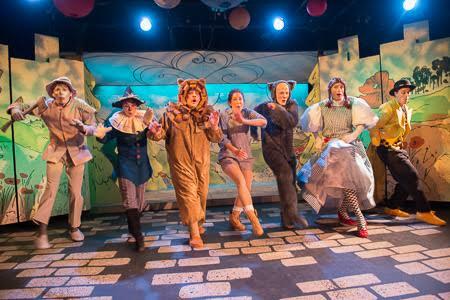 Produced by the LL Production Company, Matt & Ben is one wicked funny show that will make an audience feel like they’re right in the same living room as these young Boston boys (played by girls), and the first play put up at the Riot Theater.